Voices, features and reports from the Middle East and elsewhere that go beyond the veil of mainstream media, current headlines, gender stereotypes, prejudice and language. 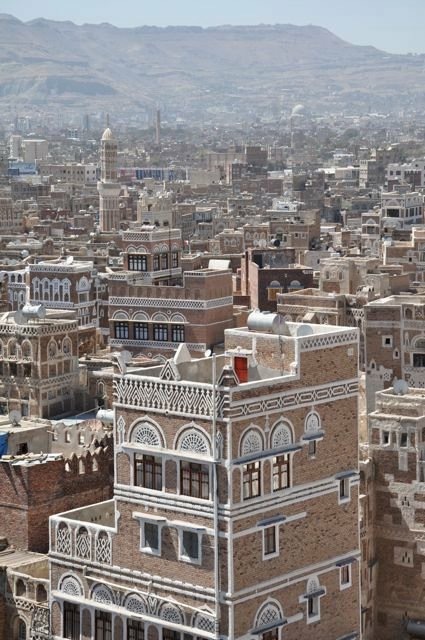 View of the rooftops of the Yemeni capital Sana'a. The photo has been taken before the war. 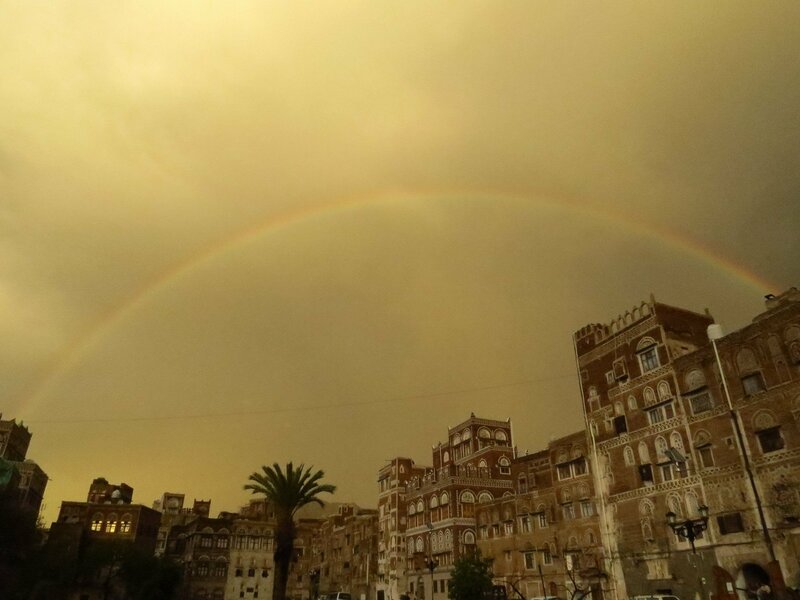 But Sana'a is still one of the most beautiful capitals of the world. Far beyond international attention the war in Yemen is entering its fourth year. It's a multi-layered war in which national as well as regional actors are hopelessly entangled, the Saudi military coalition being one of the driving forces. Tens of thousands of Yemeni civilians have been killed and a famine of epic dimensions is lingering. The famine is not only due to the lack of food but also of the lack of means to buy food as government employees haven't received any salaries for over two years. That's the layer of economic warfare. So far there is no political will to push for peace negotiations. And in the midst of this all there are civilians fighting for survival, hope and dignity. One of them is Abdo Ramadan, father of five, manager of a big company in Sana'a. He goes to work every day, even if there is hardly any work to be done. He and his wife struggle desperately to send their kids to school and to uphold the routines of everyday life. To ease his despair Abdo Ramadan seeks refuge in poetry, its rhythms and rhymes. He wrote two poems to publish here and frames them with pictures of his youngest daughters as for him and his wife they are symbols of hope - and of the future of their country. 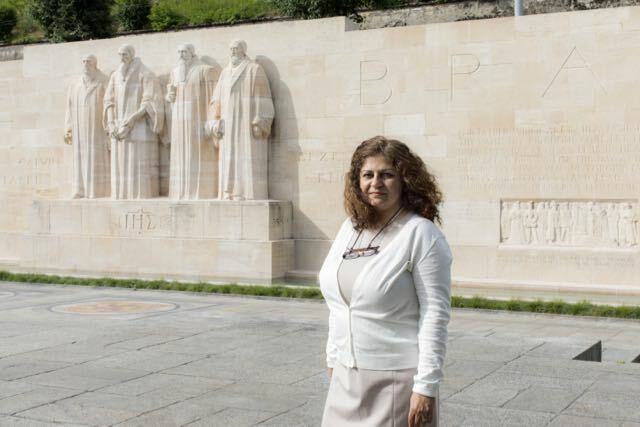 «Wherever Islamists become active, they start by targeting women», says renowned Yemeni-Swiss political scientist Elham Manea. In her new book, she asks societies and policy makers to remain focused and address the challenges of non-violent Islamism. We discussed the dangers of non-violent Islamism, the burqa ban, the failings of Western feminists and how Sweden was infiltrated by Islamist ideology. Poetry has become a rare literary art. But sometimes you discover strings of pearls - words and phrases that touch your heart. 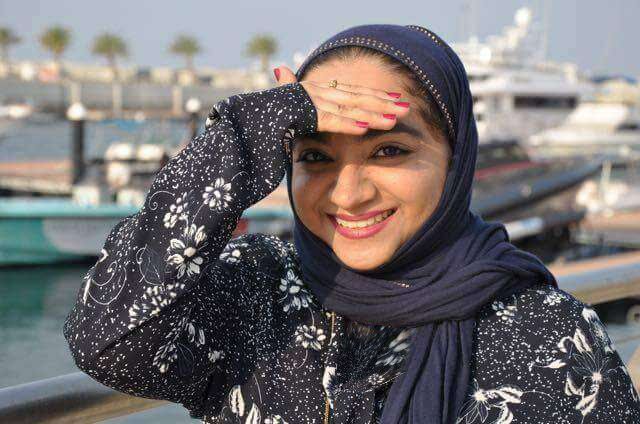 Omani writer Lubna Al Balushi is passionate about creating gem after gem. 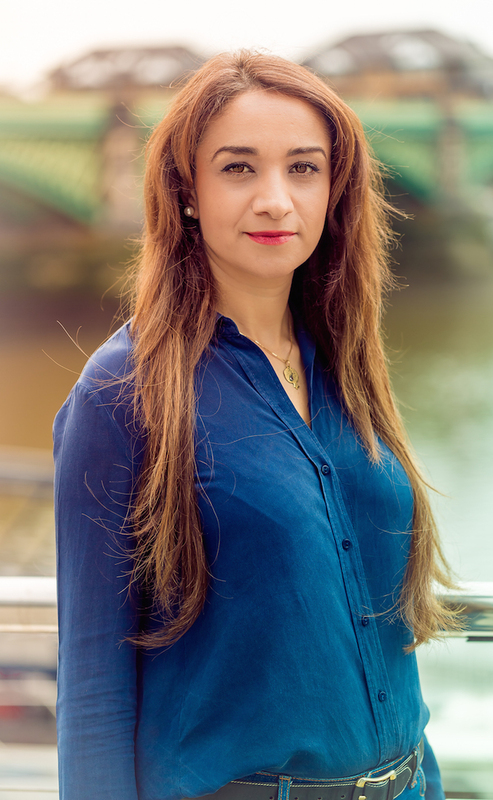 She composes her poems in Arabic, English, Balochi - and in German. That bouquet of languages, her fine sense of rhythm and the fearlessness with which she expresses her emotions make her one of the most exceptional Omani artists of her time. The war in Yemen happens almost off radar of international attention. It's going on in the shadows of the devastating conflicts in Syria and Iraq and the associated political powergames. The war in Yemen has caused thousands of deaths and casualties as well as the worst humanitarian crisis in the world with 20 million people to be in urgent need of food - and on top of that: the largest ever cholera outbreak. But the fights between the Houthi rebels and the Saudi-led military coalition are going on, the airstrikes by Saudi Arabia and its allies are grim daily realites. Last Thursday street fights broke out in the capital Sana'a after Yemen's former president Ali Abdullah Saleh publicly turned his back on the Houthis, his former allies. Ali Abdullah Saleh was killed on Monday. During the street fights thousands of civilians, men, women, children, were trapped in their homes - as were my friend Hana Al Showafi, a young development aid employee, and her husband. She allowed me to publish the thread of tweets she wrote during the days she was trapped. They are a gripping account of life under fire. Written by Helene Aecherli on Friday, 22 September 2017. Die Irakerin Yanar Mohammed arbeitete in Toronto als Architektin. Dann kehrte sie nach Bagdad zurück, um Schutzräume für Frauen zu errichten. Denn nicht nur der IS, sondern auch die wieder erstarkten Stammesstrukturen im Land haben eine verheerende Auswirkung auf das Leben von Frauen. Ehrenmorde, Zwangsverheiratungen und Frauenhandel sind an der Tagesordnung. Doch der Widerstand gegen die Stammescodes wächst - gerade auch unter Männern. Yanar Mohammed bei ihrem Besuch in Genf. Written by Helene Aecherli on Saturday, 09 September 2017. Entgegen der Versprechen des wieder gewählten Präsidenten Hassan Rohani, bleibt die iranische Regierung fest in Männerhand. Der Kampf der Iranerinnen um Gleichstellung und politische Mitsprache geht aber unvermindert weiter. Jetzt erst recht. Doch ist dieser Kampf eine Gratwanderung. "Denn durch die Kontrolle der Frauen mithilfe Scharia-basierter Gesetze wird das Gebilde der islamischen Nation aufrechterhalten", erklärt Leila Alikarami, eine der führenden iranischen Menschenrechtsanwältinnen. "Mit anderen Worten: Frauen sind die einzigen sichtbaren Wesensmerkmale dieser islamischen Regierung. Deshalb gelten Gleichstellungsfragen schnell als Bedrohung der nationalen Sicherheit." 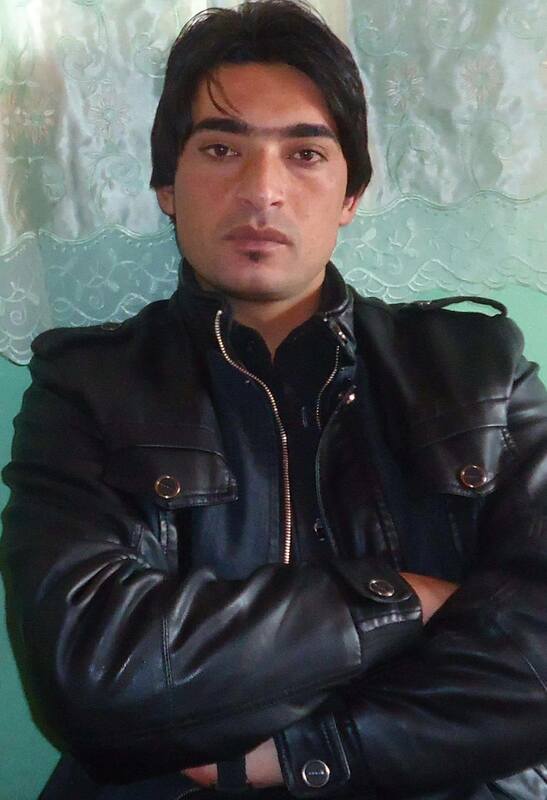 "We are the Power of Change"
Ali has a job, that could put his life in danger: He helps young women entering the work force in private sector business in Firoz Koh, the capital of the province Ghor in Northwestern Afghanistan. That friends and colleagues laugh at him because he supports women, doesn't impress him. But what really worries him, is what will happen when religious extremists find out what he is doing. So far, he keeps a low profile and just goes on. Society, he says, can’t move on if half of its population is literally kept in the dark. "Wir sehen uns lieber als ewige Opfer, als dass wir uns kritisch hinterfragen"
Sie war Femen-Aktivistin und ist heute eine der polarisierendsten Islamkritikerinnen Deutschlands. In ihrem Buch «Die verschleierte Gefahr» beschreibt Zana Ramadani, wie Toleranz und politische Korrektheit Islamisten wie Rechtspopulisten in die Hände spielen. Dabei geht sie gerade mit Feministinnen hart ins Gericht. 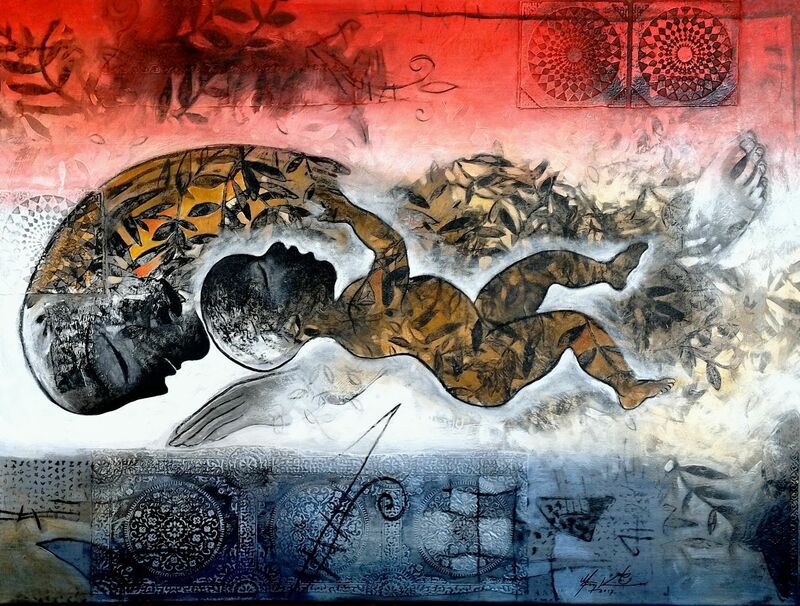 That art catches my attention and stirs emotions I cannot really grasp, happens rarely to me. It is like falling in love: You cannot explain it, but you know when it is there. And then it makes you dizzy, it moves you and doesn’t get off your mind. Such were my reactions when I discovered the paintings of India-born Yemeni artist Mazher Nizar - will say, his paintings of women. Written by Helene Aecherli on Wednesday, 16 November 2016. 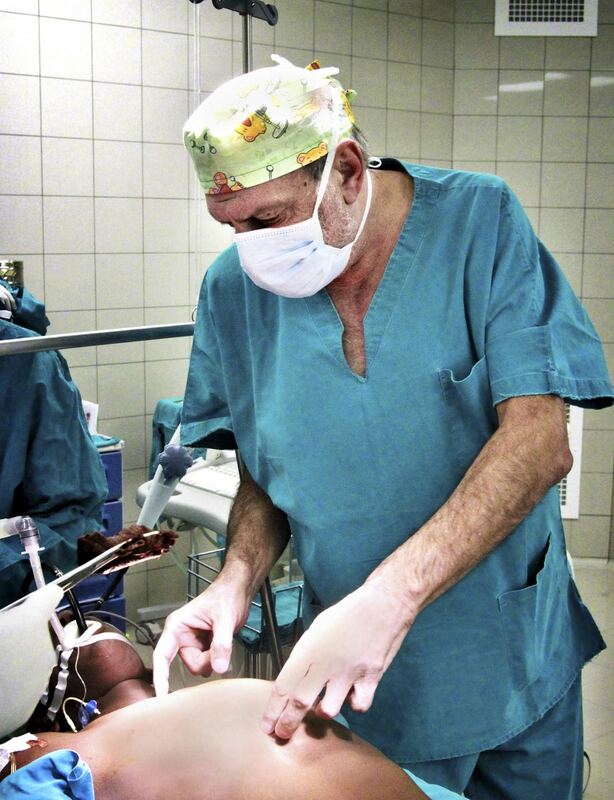 "I would never vote for any government that doesn't put disarmament and the abolishment of war on its agenda"
The Italian war surgeon and Right Livelihood-Award winner Gino Strada has operated on over 30000 victims of war and poverty. The majority of them are civilians. "Armed violence against civilians is spreading like popcorn all over the world", he says - and urges UN officials, governments and civil societies to declare war and arms trade illegal. Sure, he knows it's a utopian dream. But why not start this discussion? To me, Gino Strada is a true agent of change. His vision and idealistic aims are rooted in the harsh realities of his experiencens as a war surgeon. 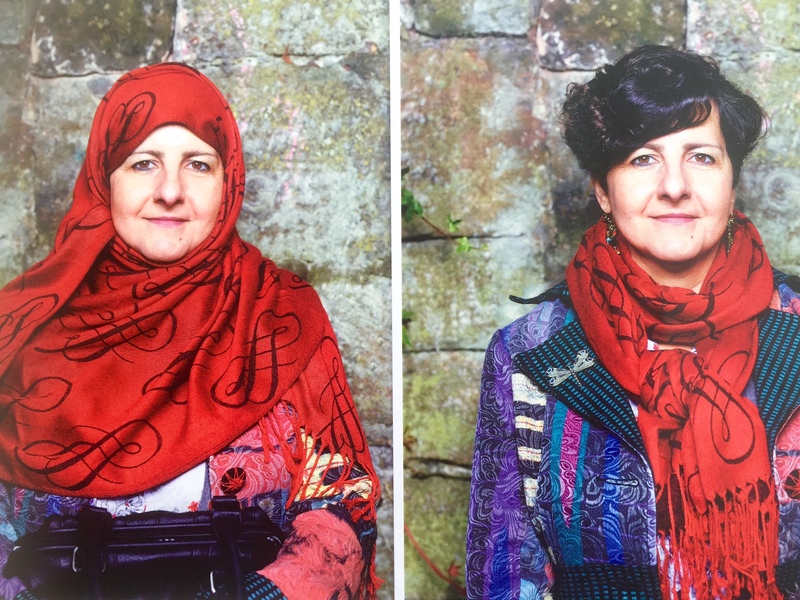 33 Jahre lang trägt Emel Zeynelabidin den Hijab, das islamische Kopftuch. Dann legt sie es ab. Sie hat begonnen, ihre Religion kritisch zu hinterfragen. Emel Zeynelabidin mit und ohne Kopftuch. Bild: Gaby Gerster. Die Diskussionen um die Verhüllung muslimischer Frauen brechen nicht ab. Im Spannungsfeld der Debatten um kopftuchtragende Schülerinnen und Initiativen für Burkaverbote werden deshalb viele eine Frau wie Emel Zeynelabidin für eine Rebellin halten und sie bewundern für ihren Mut. Andere werden sie als Gottlose beschimpfen. Wiederum andere werden in ihr einfach eine Frau sehen, die sich aufgemacht hat, ihren Weg zu gehen. Emel Zeynelabidin (55) kam als Baby aus Istanbul nach Lehrte, einer kleinen Stadt bei Hannover, wo ihr Vater seine Ausbildung als Chirurg begann. Sie lebte so, wie es von ihr erwartet wurde: Als die Periode einsetzte, verhüllte sie sich, mit zwanzig heiratete sie einen Mann, den ihre Eltern für sie ausgesucht hatten, sie bekam sechs Kinder, studierte Anglistik, Islam- und Erziehungswissenschaften, wurde Vorsitzende eines islamischen Frauenvereins, gründete in Berlin islamische Kindergärten und eine islamische Schule. Doch dann, im Alter von 44 Jahren, kam die Wende: Die Kopftuchdebatte in Deutschland wurde für sie zum Anlass, die Verhüllungsverse im Koran zu hinterfragen. Gleichzeitig begegnete sie einem Mann, in den sie sich verliebte. 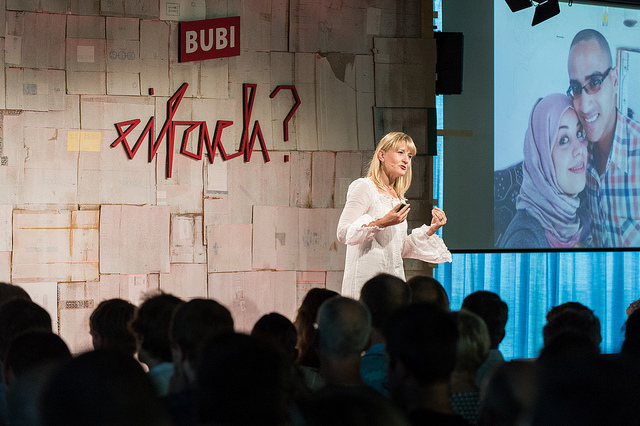 Nach einer langen Auseinandersetzung mit ihrem, wie sie sagt, "erlernten Glauben", den Gefühlen der Liebe und vor allem mit sich selbst, legte Emel Zeynelabidin ihr Kopftuch, ihren Hijab, ab. Ihre neuen Erfahrungen und Erkenntnisse hielt sie in verschiedenen Essays fest, die sie 2013 als Buch herausgab. Für ihren mutigen Schritt wurde sie 2007 mit dem Lutherpreis "Das unerschrockene Wort" ausgezeichnet. Ich führte das vorliegende Interview mit Emel Zeynelabidin vor zweieinhalb Jahren für die Schweizer Zeitschrift annabelle. Seither sind Emel und ich miteinander in Kontakt. Da der Inhalt des Interviews noch immer unvermindert aktuell ist, haben wir uns dazu entschlossen, es erneut zu publizieren, haben es aufdatiert und um einige Fragen ergänzt. 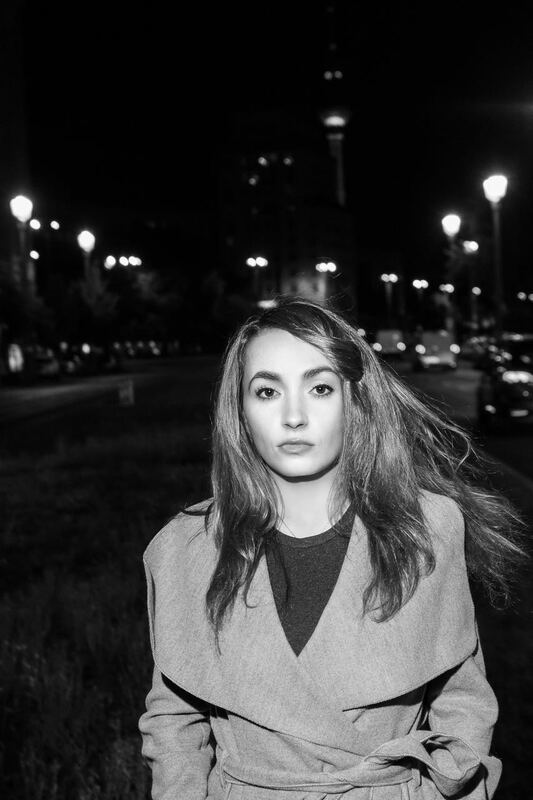 Die Fotografin Gaby Gerster hat mir freundlicherweise erlaubt, die Bilder von Emel Zeynelabidin für diese Webseite wieder zu verwenden. Und ja, ich erinnere mich noch sehr gut daran, wie Emel und ich uns in Marburg in einem verwinkelten Altstadtcafé zum Gespräch trafen. Denn mir fielen auf Anhieb drei Dinge auf: ihr direkter Blick, ihre sonore Stimme – und ihre Locken. The war in Yemen started almost exactly one year ago. It has caused a humanitarian disaster that is comparable to the one in Syria - only that the war in Syria has been going on for five years. 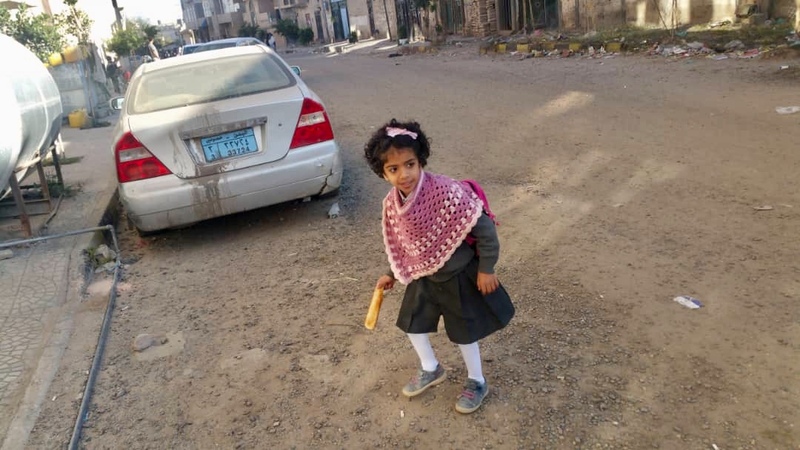 The war in Yemen however hasn't caught widespread international attention, the suffering of the people, the destruction of the social fabric and the infrastructure of the country happen basically off radar. But - regardless of how devastating the war is: There is life and there are aims. The beautiful baskets filled with fleur du sel from the Yemeni island Socotra are signs of it. 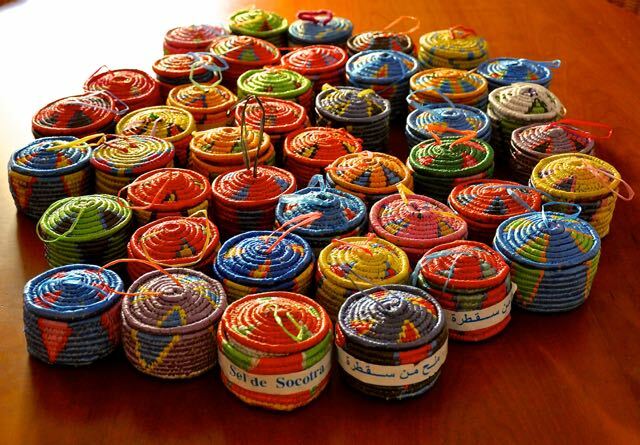 They are made by Boshrah and her friends in the village Al Nuzhah. Boshrah is the sister of a dear friend of mine in Sanaa. The salt is distributed by a women's cooperation on Socotra. I sell the baskets and the salt to fund a sewing project in the village Al Nuzhah. The project will help young women to achieve basics skills and to build a future.